While you want to be prepared with the correct pan when the urge to bake comes on, you also don't want to buy ones that you rarely, if ever, use. That is a waste of money and creates clutter in your kitchen. The good news is that there are basics that you can purchase based on what you will most likely be preparing and oftentimes, the pan that you have can be used in many different ways. And while there are many different sizes available, each type of pan does have a standard size which is what will almost always work for the recipes you're trying to make. In terms of materials, the best choice for beginners is the nonstick metal options. They are typically inexpensive, lightweight, and what you are baking will brown consistently and bake evenly. The nonstick surface makes removing the baked good from the pan much easier. Half sheet pans are perfect for cookies (no need to buy the traditional cookie sheet), jelly rolls, scones, or sliding under a juicy pie while baking it in the oven. Outside of the baking realm, they are also useful for roasting potatoes and vegetables, toasting nuts, and making sheet pan suppers. 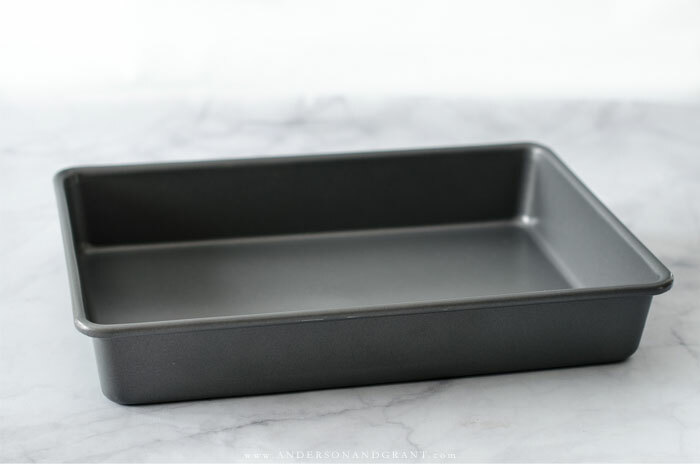 While you only need one of most baking pans, it is helpful to have two half sheet pans. That way you can have another batch of cookies ready to go in the oven when the first comes out. 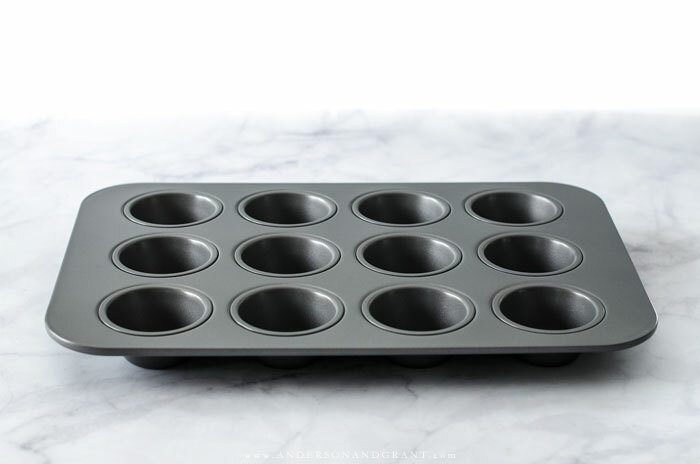 Like sheet pans, muffin pans come in different sizes from 6 to 24 cups as well as mini cup and jumbo cup versions, but a 12 cup muffin pan is standard. It can be used for muffins, of course, as well as cupcakes and popovers. Also, most cake recipes can be adapted and baked in a muffin pan by varying the baking time. 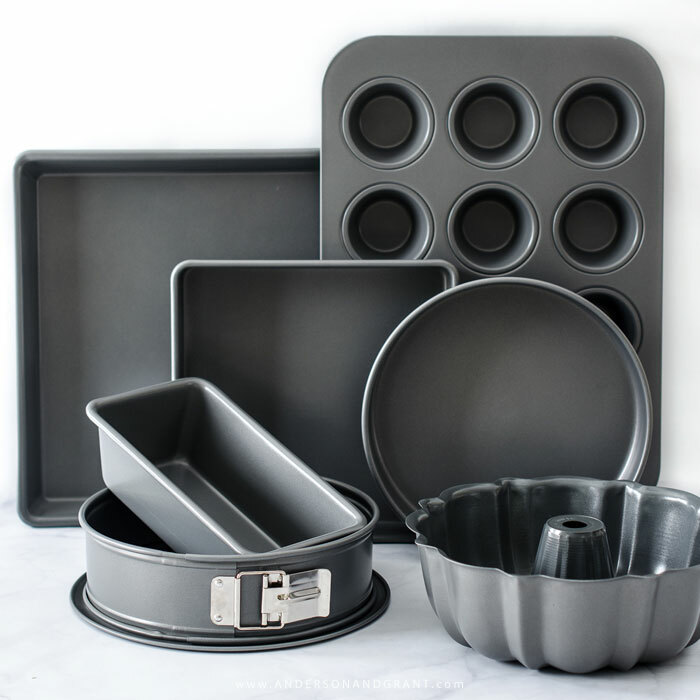 Loaf pans are what you will need to make things like banana and zucchini bread, homemade sandwich bread, and pound cake. Meatloaf can also be baked inside of a loaf pan. 9"x5" is the standard size that will work for almost any recipe. 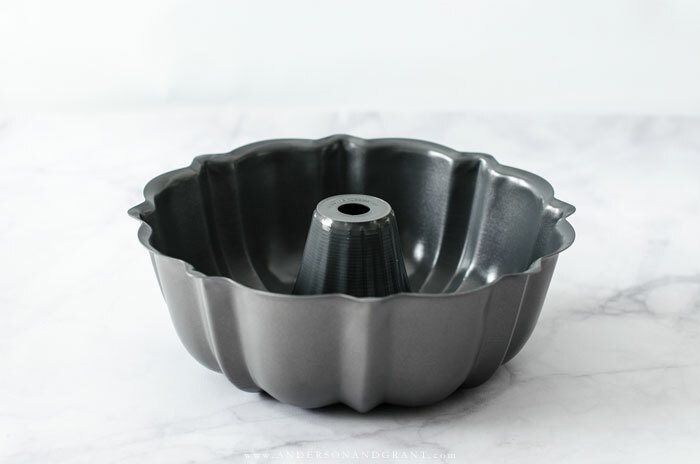 A bundt pan is one solid piece with fluted or grooved sides and a domed bottom. The post in the center is there to allow a deep cake to bake faster and more evenly. 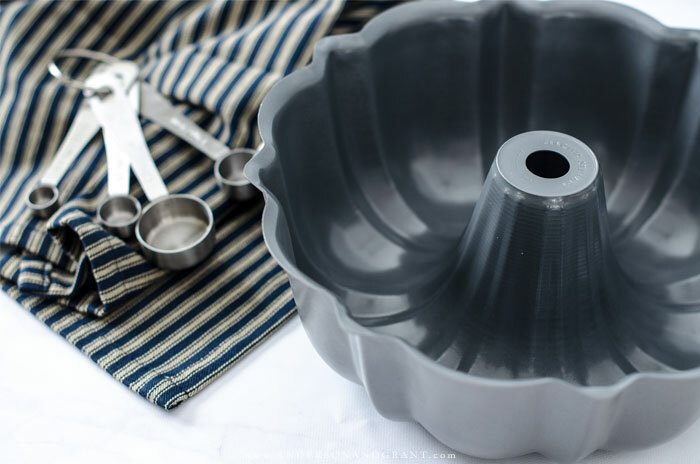 When the baking is complete, the bundt pan is flipped over to allow the cake to slide out. It should be greased well to ensure that the details come out cleanly. A bundt pan is great for cakes that don't need frosting, coffee cakes, and pound cake. 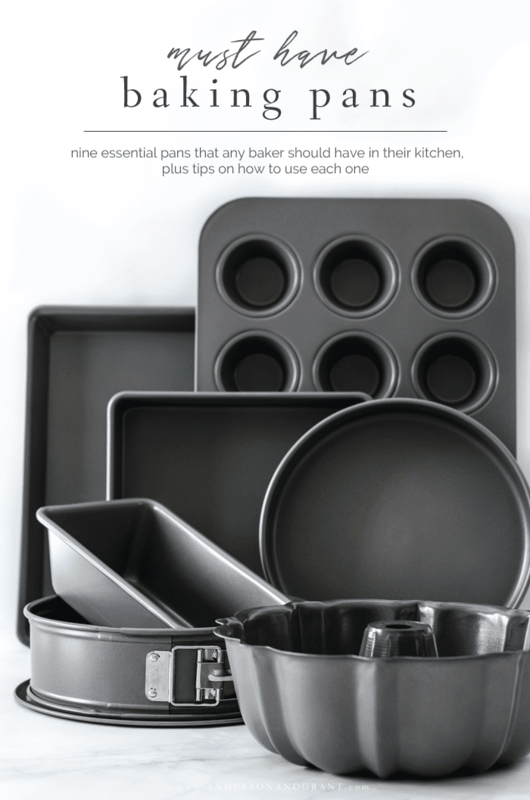 Cake pans traditionally are purchased in two different sizes, 8" or 9". While both are useful, it isn't necessary when trying to get started at baking. Take a look at recipes that you like to make and notice which one is more commonly used in what you are already making before purchasing. The difference you will see is that cake recipes made in an 8" pan will be taller and take longer to cook than those in the 9" pan and you may have to discard some of the batter of a 9" pan recipe because it might not fit in the smaller pan. These pans are used for cakes, layer cakes, cinnamon rolls, and pull apart rolls. They can even be used to make a deep dish pie. 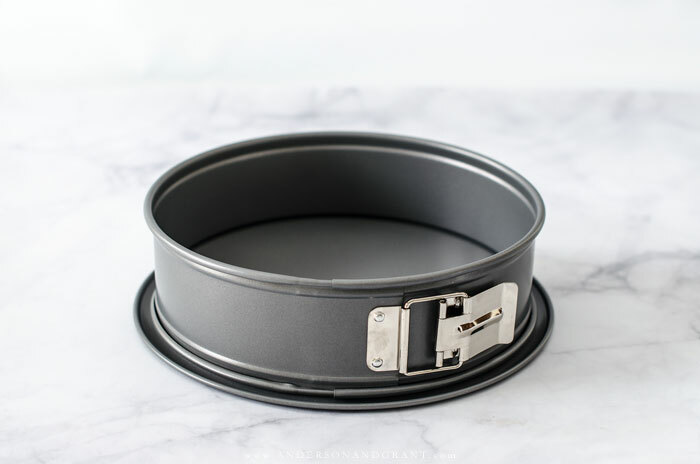 If you plan on making any layer cakes, it is wise to purchase two round cake pans in the same size. 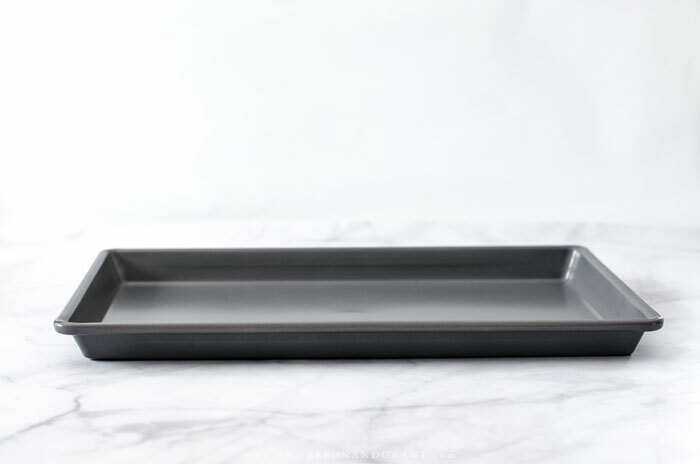 Square cake pans also come in 8" and 9" options and the same theory applies as with the round pans as to which you should buy first. These pans are what you'll need to make brownies, bar cookies, square cakes, crumb cakes, gingerbread, and cornbread. A baking pan has sides that are higher than the sheet pan making it a better choice for cakes than cookies. 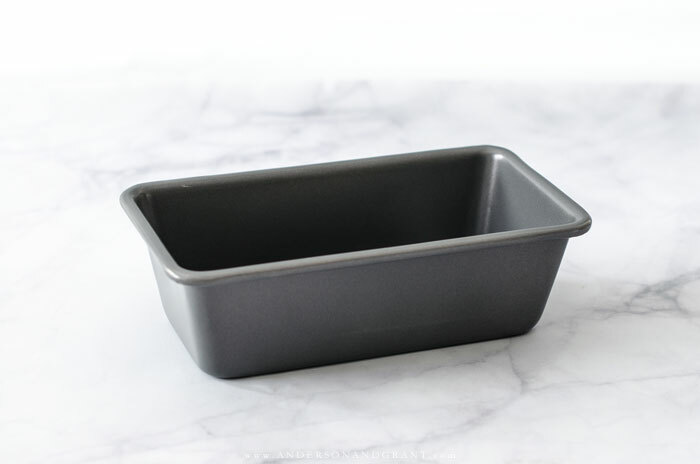 9"x13" is the standard size you'll need for most sheet cakes and baking mixes. You can use this pan for making cakes, bar cookies, cobblers, or rice krispie treats. They can also be used for casseroles, baked pasta, and roasting meat and vegetables. 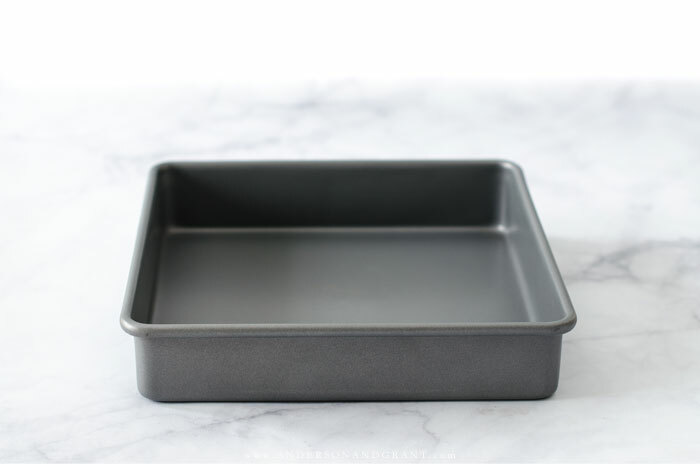 If you do not have a 9x13 inch baking pan, the recipe can still be made easily using two eight inch or two nine inch cake pans. Springform pans are made of two pieces: a flat base and removable outer edge that unclasps after baking. It is a pan that is used for any type of recipe that you can't turn upside down to release, which is why it has the removable bottom. In this case, the thicker the walls of the pan, the better and 9" is the standard size. Look for ones that have a protruding lip at the bottom which will keep thin batters from leaking through or water from a water-bath leaking in. 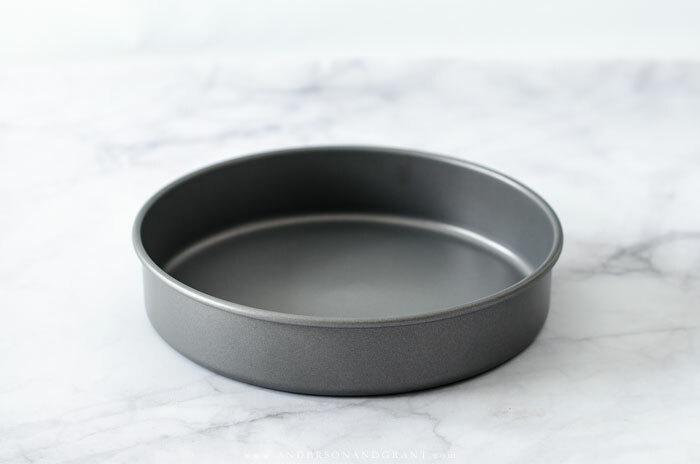 A springform pan can be used for cheesecakes, tarts, quiche, torte, regular cake, and icebox cake. 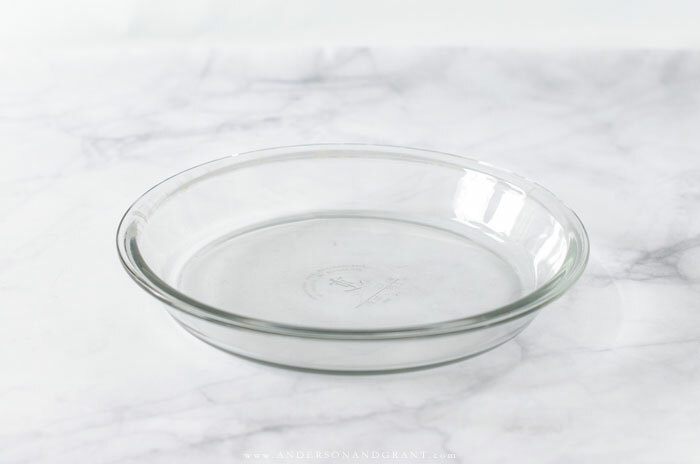 While metal is a better choice in baking pans for beginners, I recommend glass for pie dishes. Because you can see through them, it is easier to tell when your crust is browned and it has better heat conductivity. You can buy either a 9" or 10" pie dish. They also come in a deep dish variety that will accommodate more filling than a traditional pie plate. In addition to being what you need to make pies, the pie dish can also be used for meat pies and quiche.